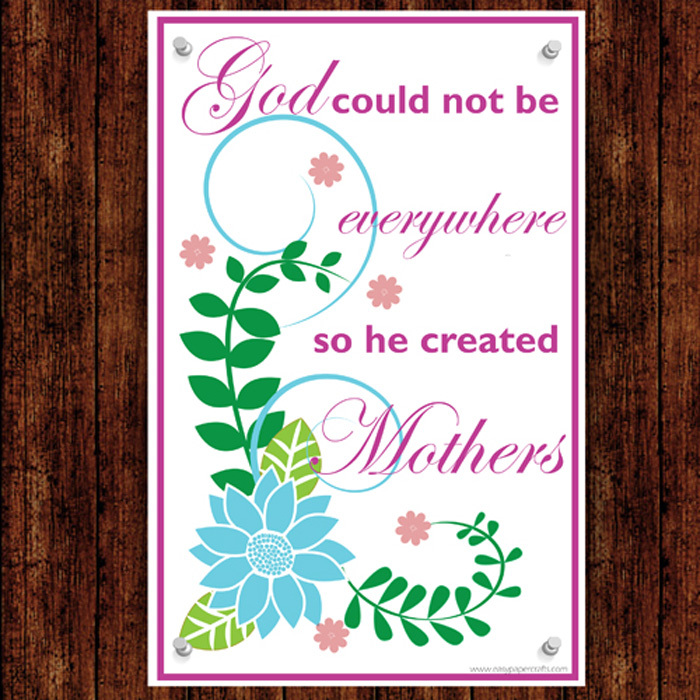 Celebrate Mothers Day with a free 11 x 17 printable. Click here to download. I don’t get on my soap box often, but I do have a lot to say about the topic of motherhood. I truly believe the saying The hand that rocks the cradle rules the world. Being a mother and staying home to raise your children is often held as a lesser option to working outside of the home. I have worked, and I have stayed home with small children. Believe me, it was easier to go to work, than it was to stay home with toddlers. Once you have children, however, their needs come first. I have two daughters Erika and Catherine that are now grown. They are the lights of my life and have brought joy and happiness into my world. I want to thank them for coming into my life, and being the people they are. So to all the mothers out there, I wish you all the best this Mothers Day. You deserve it!